I’m going out shopping , and won’t be back until about 5:00 pm. I have taken with me the two books you asked me to return to the city library . At about 1 o’clock this afternoon , Tracy called ,saying that she couldn’t meet you at Bolton Coffee tomorrow morning as she has something important to attend to . She felt very sorry about that , but said that you could set some other time for the meeting . She wanted you to call her back as soon as you are home . She has already told Susan about this change. I’m Li Hua , the chairman of the Students’ Union of YuCai Middle School ,which is close to your university . I’m writing to invite you to be a judge at our English speech contest which will be held in our school on June 15. It will start at 2:00 pm and last for about three hours . Ten students will deliver their speeches on the given topic “Man and Nature”. We hope that you will accept our invitation if it is convenient for you. Please call me at 44876655 if you have any questions. 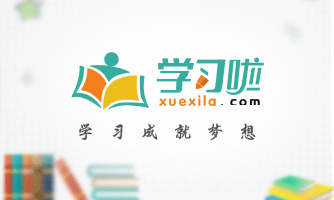 I’m LiHua , a Chinese student taking summer course in your university . I’m writing to ask for help . I came here last month and found my courses interesting .But I have some difficulty with note-taking and I have no idea of how to use the library . I was told the learning center provides help for students and I’m anxious to get help from you. I have no class on Tuesdays mornings and Friday afternoons . Please let me know which day is ok with you. You may email or phone me . Here are my email address and phone number :[email protected] ; 1234567.